Sans Digital is expanding its Storage Gadget lines by introducing a new concept to the storage market: Compact Flash (CF) enclosures. 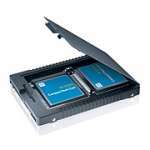 The CompactSTOR CS1T and CompactRAID CR2T convert the widely popular Compact Flash card to a single 2.5” SATA hard drive storage device. The CS1T houses one Compact Flash card, while the CR2T supports spanning and RAID 1 (mirroring) by housing up to two Compact Flash cards. Unlike existing RAID units that employs hard drives for storage space, the CS1T / CR2T utilizes pocket-sized lightweight Compact Flash cards as storage memory for data safekeeping. 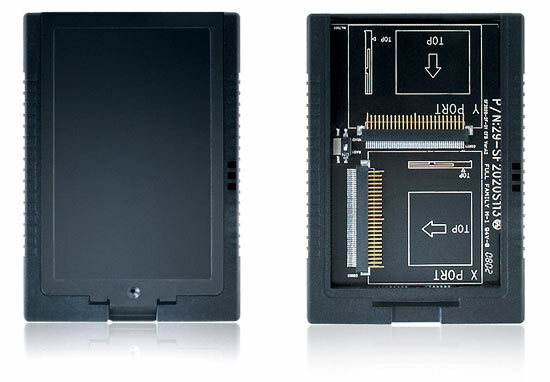 Designed with the same size and connectors as a 2.5” SATA hard drive, both units are compatible with the hard drive slot of laptops, industrial PCs (IPC), small form factor computers, and 2.5” hard drive enclosures. By utilizing Compact Flash cards as storage, both CS1T and CR2T embrace the same benefits as Solid State Disks (SSD), including less power consumption, minimized heat generation, shock prevention, and noiseless operation. The user is able to benefit from the features of a Solid State Disk at a fraction of the cost while using the CS1T or CR2T. 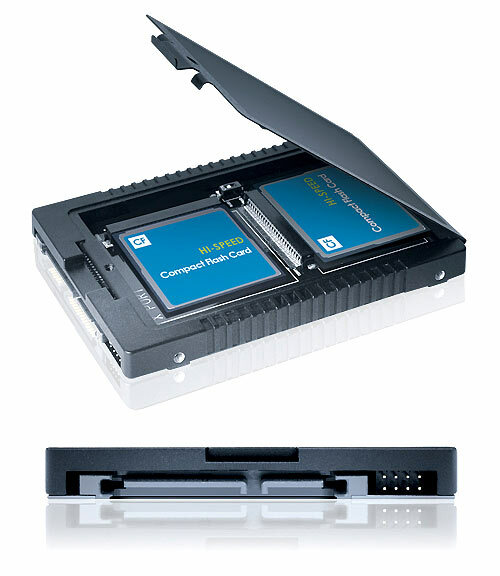 For more details on CS1T and CR2T, please visit: http://www.sansdigital.com/compact-flash-storage/cs1t.html and http://www.sansdigital.com/compact-flash-storage/cr2t.html.